Finished Dip ready to eat! This spread is a nutritional powerhouse with two cups of omega-3 filled walnuts and 1/4 cup of walnut oil. It also gets a healthy dose of vitamin A and a mega dose of vitamin C from the red peppers! Both the red peppers and the walnuts offer a shot of fiber to your diet. So go ahead, don’t be shy! 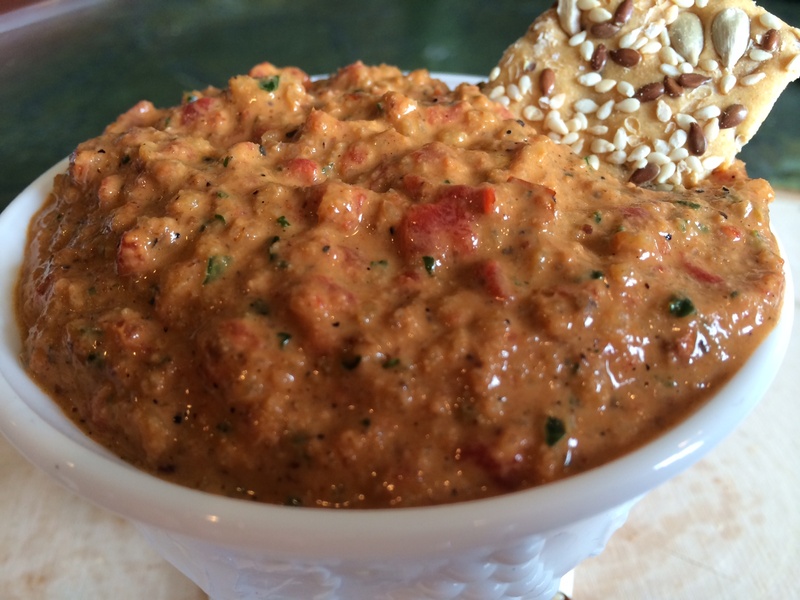 Whip some up in your food processor so you can discover for yourself all the different ways you can enjoy this dip! 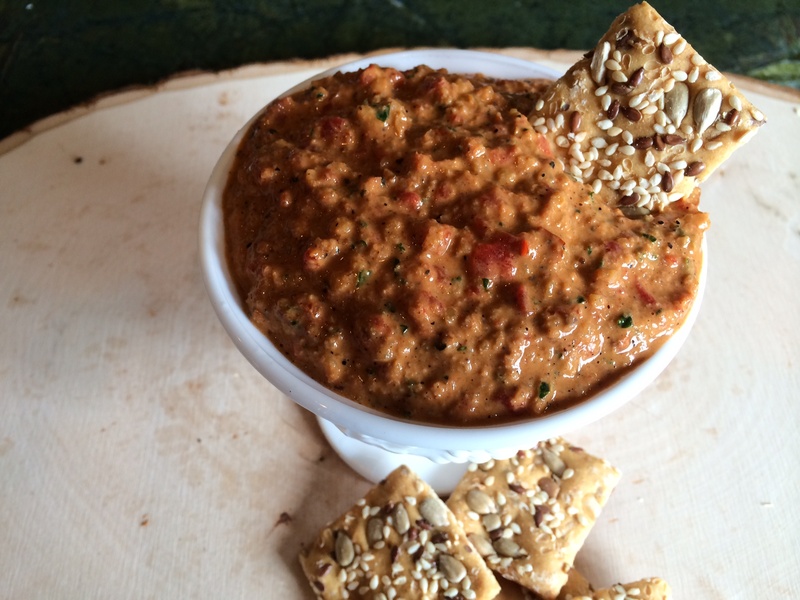 This recipe is amazing on thick, hearty crackers. It would also make a great topping for pasta or a filling for a lasagna. 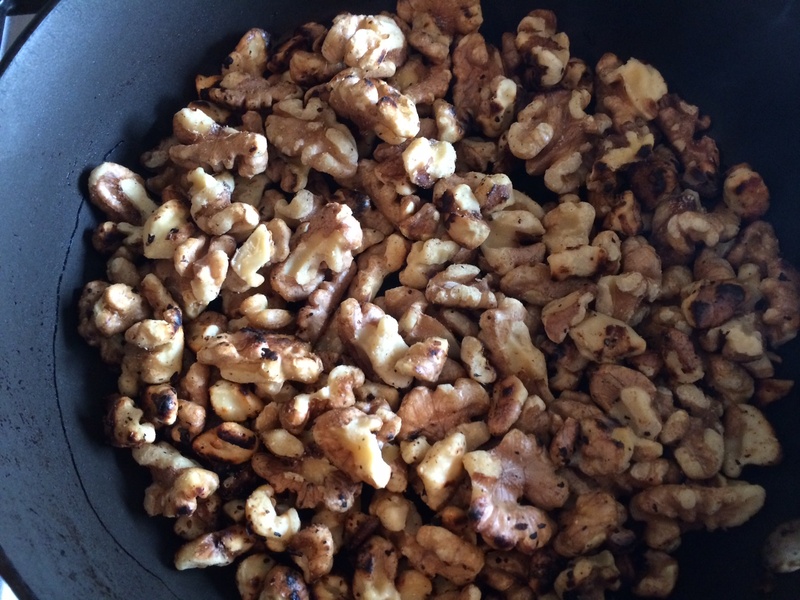 Dry toast walnuts in a large pan. Let cool. Refrigerate for at least two hours or overnight to let flavors meld. 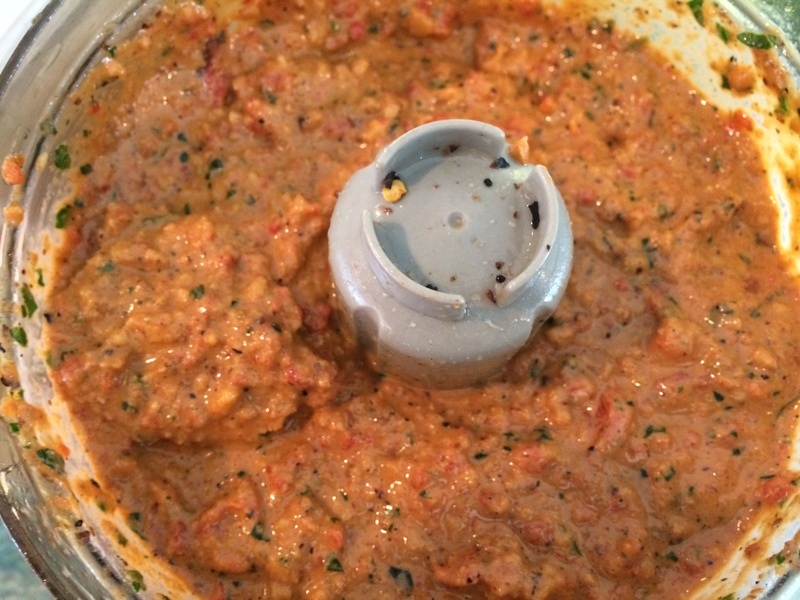 I love making muhammara sauce! This version looks wonderful. Just found your blog and really like what you stand for. I am training to be a holistic health coach so your outlook really resonates with me.